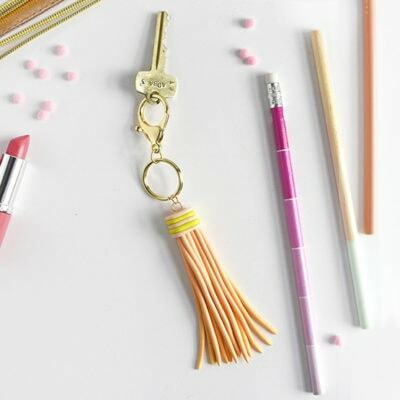 I’m back today with another fun polymer clay project! 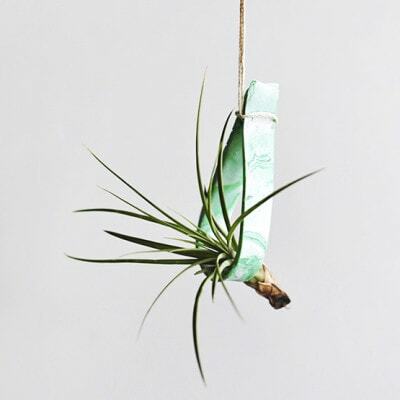 Last week, I shared a marbled Clay Plant Holder and it’s been holding one of my air plants in the kitchen ever since. 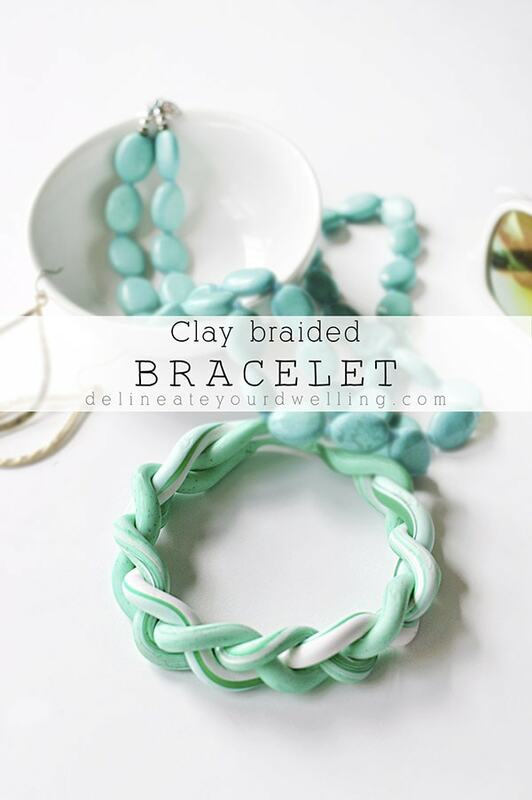 I was so energized after creating the plant holder that I immediately made two more items… and this gorgeous DIY Braided Clay Bracelet was the second thing I made! 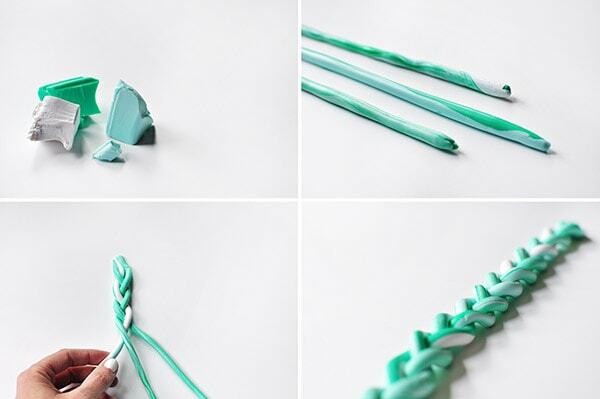 Who knew you could braid clay?? To create the marbled effect, I used a small amount of three different colors. 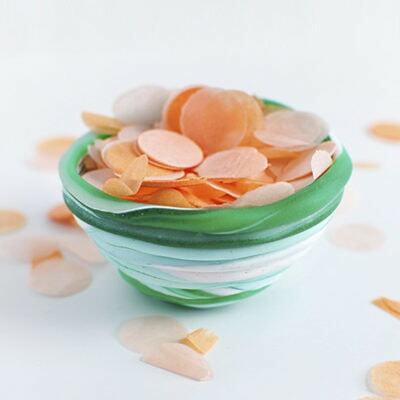 First, remove pieces from each color and start warming and kneading them in your hand. Sometimes this takes patience, it’s not as pliable as play dough. Next, separate the clay into three equal parts and start rolling them with your hands to create long snake-like pieces. I cut a strip of paper to measure my wrist size. 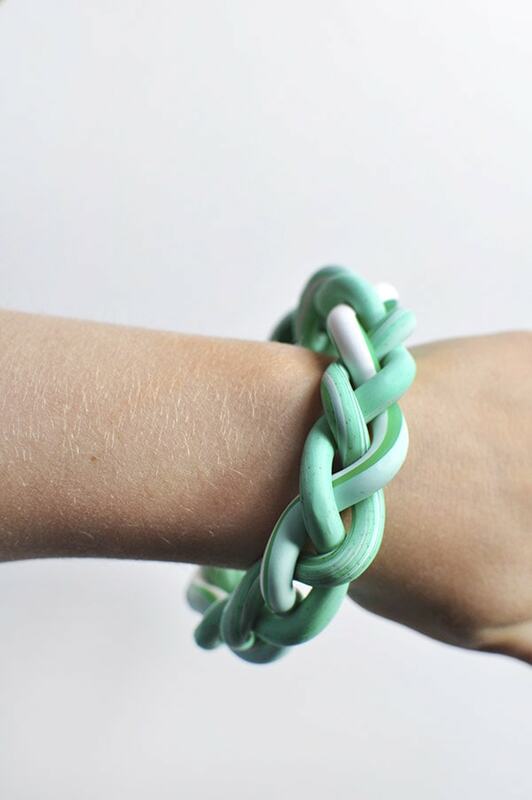 Be sure to make the bracelet big enough to fit over your wrist, also. After you have your three pieces, slightly mash them together at the top and start braiding! Once they are braided, slightly mash the end and connect it to the top. Follow your directions on the clay and bake accordingly. I put mine in at 265F for about 35 minutes. 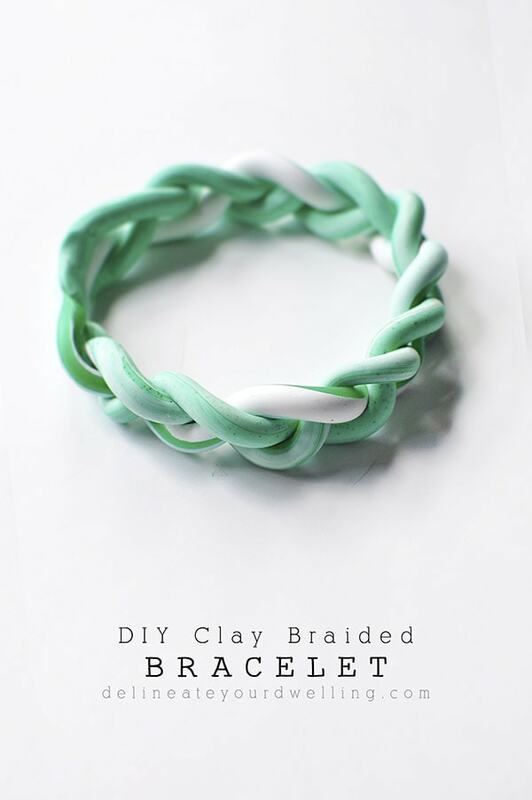 The end result is a gorgeous DIY Braided Clay Bracelet! 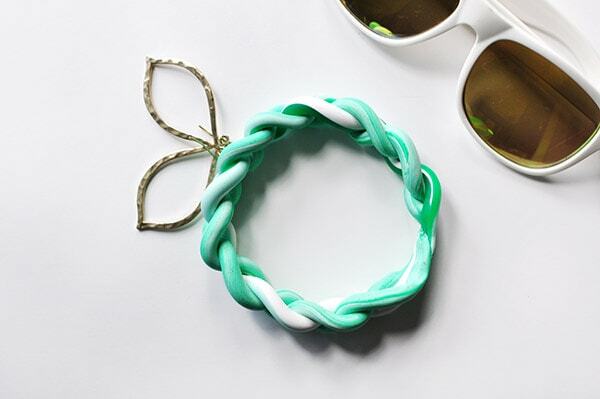 I love the soft mint color that the marbling gave it. There are a few spots of more saturated green and some white, too. 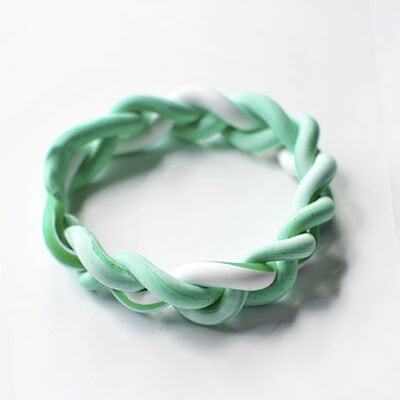 Be sure to check back next week for my final polymer clay item! 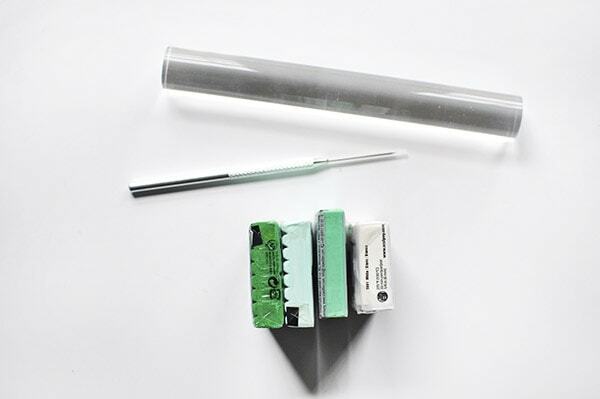 Have you been inspired to find your stash and create something? Let me know what you’ve made in the comments below. 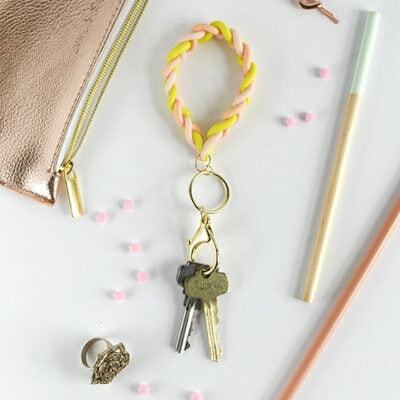 What a lovely and unique handmade gift idea! 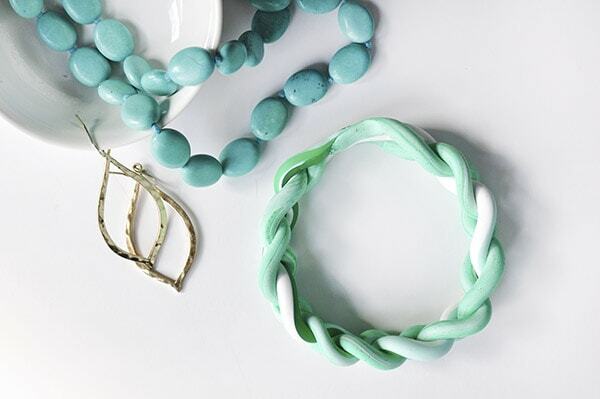 Pinned, and can’t wait to try making some of these clay bracelets for friends and family! So pretty! I’m loving your clay posts. I’ve been wanting to do a clay project, so it’s totally inspiring me. So pretty! I just love how this turned out. So cool! 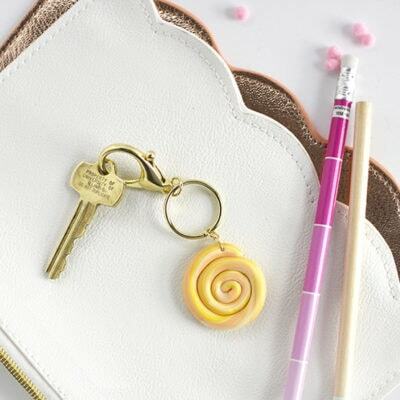 I’ve never had good luck with polymer clay (it always looks dusty/dirty) after I’ve rolled it but this looks so pretty and doable! I’ve had the same stash of clay for a few years now… this might possibly be my first time to use it! After my first project turned out okay, I was so excited I did two more!